She earned the name PRECIOUS because she is always sweet and special to most people…. PRECIOUS is her name not her attitude. To a small number of people it is a Misundertood Moniker but to most people it actually conveys a Sweetness about her to others and She LOVES it. She was born and raised in Guyana, South America. Precious was educated in Guyana. She lived with her parents and siblings at: No. 3 Village, West Coast Berbice, Guyana South America. She came from a family of 12 children, 6 girls and 6 boys. Precious, currently has 6 siblings. She attended Cotton Tree Village, Primary School and Rosignol High School where she graduated. Precious was very fortunate that right after graduation from High School with her Advanced Level General Certificate of Education (5 Subjects GCE “A” Level) she was employed by a new innovative transportation company from overseas called Tata Communication where she worked as a cashier. In that country, it is very unusual for a female to be employed so instantaneously but she considers herself to be very blessed and fortunate to work towards achieving her goals. Inspired by her loving parents she moved on to the capital city of Guyana – Georgetown, to persue her Professional Nursing Career. 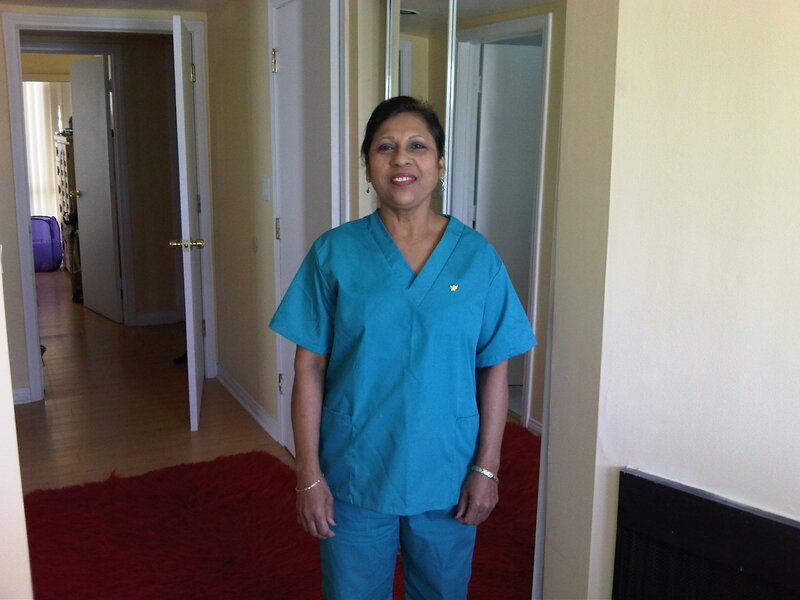 She was trained at Georgetown Public Hospital and worked as a Registered Nurse. Although her mother was eager for her to be successful with her career, she had reservation about her leaving home and was very concerned about her safety, as a country girl going to live in the big city. This was very risky and challenging for Precious to make that drastic move especially because of her culture and tradition which expects female to be married and have a family at that age. Very determined to achieve her goals in life, her perseverance lead her to her vision when she relocated and landed in the humanitarian country of Canada in the city of Toronto and the province of Ontario. As a new immigrant in a develop country it was a culture shock for her. Of course, there were disadvantages for her leaving her family and home behind but obviously there were many more advantages. She worked very hard often doing two and three jobs to take care of her mother and her siblings she left behind. Precious, eventually became a citizen of Canada. As Precious was very thirsty for knowledge, she continued her education in Canada, upgraded her Nursing Career, obtained her license and worked as a Registered Nurse in Toronto. She worked in many capacity and positions in Nursing Administration as Director of Nursing, Assistant Director of Nursing, Director of Staff Development and Nursing Supervisor. Never satisfied to stay at one level for a long time and always wants to excel, she studied and obtained her Administrator’s License and worked as a Health Administrator. Precious’s motivational and adventurous instinct encouraged her to continue her journey. Her destiny was in the very cold province of Alberta in the city of Edmonton. Edmonton was very different from Toronto. It was very cold but the people were welcoming and had warn hearts. She lived there for a number of years. She then got married to a very handsome, generous and liberated man. Precious then started to raise her family. She, was blessed with 4 beautiful and smart daughters and 1 son who is a genius. All her children were born at the same hospital in Edmonton. 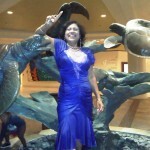 Precious continues with her determination and perseverance as she ventured out to the United States of America. She first lived in Queens then in the Bronx then relocated to Midtown Manhattan, New York. Still intrigued and thirsty for more knowledge, in the blessed land of plenty (God Bless America), she continued her education at the City University of New York – Lehman College and earned her Bachelor and Master’s Degree in Nursing. She worked as a Registered Nurse. She then relocated to Los Angeles, California to expand in her acting and entertainment career. 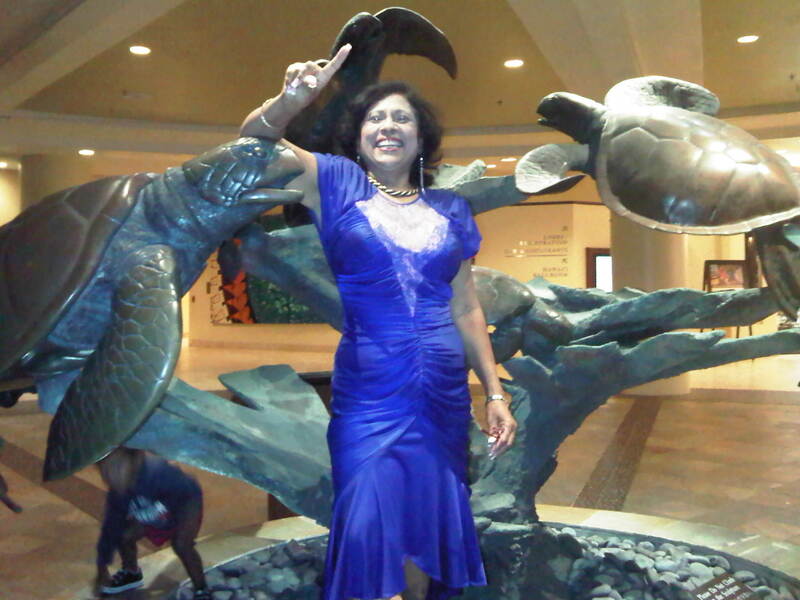 Certified Legal Nurse Consultant (CLNC) Nation wide – CEO/President of her CLNC company – HILTON & ASSOCIATES. She works in collaboration with Attorneys for Medical Malpractice cases. She works deligently to defend and testify for both Plaintiff and Defendants. She screens cases and identifies merit of the case with a high degree of success. As a fighter for justice, it was only natural for Precious to combine her love of nursing with the legal world to help others in need. Precious started her nursing career over 30 years ago and maintains her license in at least seven states in the United States (California, Nevada, New York, Seattle, Florida, Texas and Hawaii) and two provinces in Canada (Toronto and Alberta). Precious has held a wide variety of highly prominent positions in her nursing career such as Administrator, Director of Nursing and Director of Quality Assurance and Improvement - reviewing and preparing charts and medical records for JACHO and State Surveys. As you can ascertain, Precious is truly a driven business woman (entrepreneur) who is obviously not afraid of venturing, of hard work, problems, obstacles or challenges. She is ready and prepared to work hard for her company and her clients to be successful. 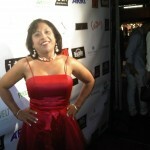 This fast growing company was founded by Actress/Producer PRECIOUS HILTON. Precious was born and raised in Guyana, South America. 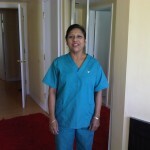 She was educated in Guyana and worked as a Registered Nurse. She then relocated to Canada, became a Canadian Citizen, upgraded her nursing career and worked as a Registered Nurse in Toronto and Alberta. She currently has 6 siblings and is blessed with 4 daughters and 1 son. Filled with determination and perseverance she ventured out to the United States of America. She lived in Midtown Manhattan, New York where she earned her Bachelor and Master’s Degree in Nursing and worked as a Registered Nurse at the management level. She then relocated to Los Angeles, California to expand in her acting and entertainment career. 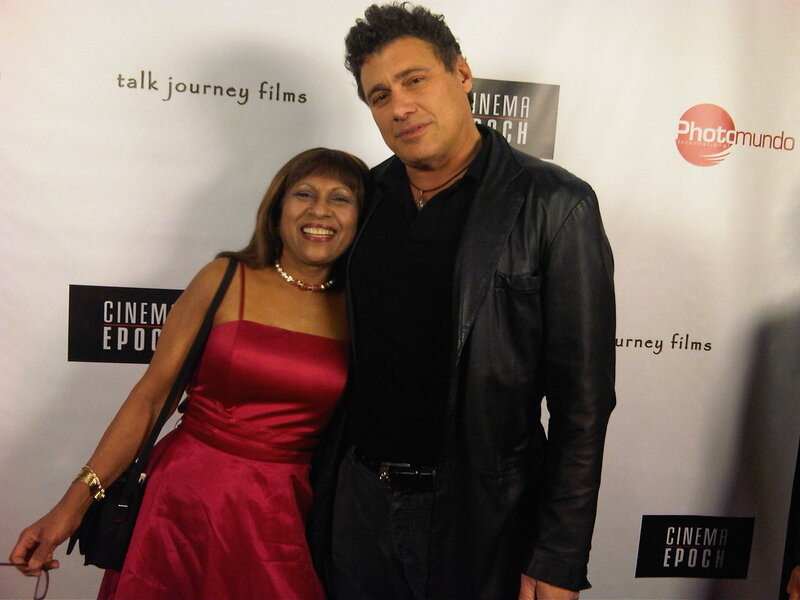 She is now a well established Film Distributor and attends most film markets and film festivals. She is a Member of the National Alliance of Certified Legal Nurse Consultants (CLNC); Member of the Golden Key National Honor Society; Alumni with Sigma Theta Tau – International Honor Society of Nursing; A Member of the Dean’s List – CUNY – City University of New York; A member of the Medical Reserve Group (MRG) Volunteer for Disaster; She is Commissioned by the state of California as a “Notary Public” and she is an active member of the National Association of Professional Women (NAPW) – Beverly Hills Chapter. PRECIOUS HILTON – Chairman of the Board of the Real Estate Investment Company - Hilton & Hilton Ventures Inc. Canada and Global Quality Care Ltd. – another Real Estate Investment Company in the United States from 1997 – present. She is also, the President/CEO of the Nursing Agency – Compassionate Nursing Care Inc. both in Canada and the United States. Precious is the President/CEO of Hilton Entertainment Group – A Film Production and Film Distribution Company and she serves on the Board of Directors. For Hilton Entertainment Group, Ms. Hilton served as the Executive Producer of ”Violent Blue” a motion picture starring acclaimed European actress Silvia Suvadova. 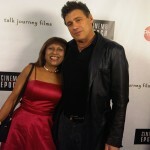 Precious Hilton has served as “Executive Producer” of the “Obsession” a motion picture project featuring acclaimed actress Dominique Swain and actor James Duval. 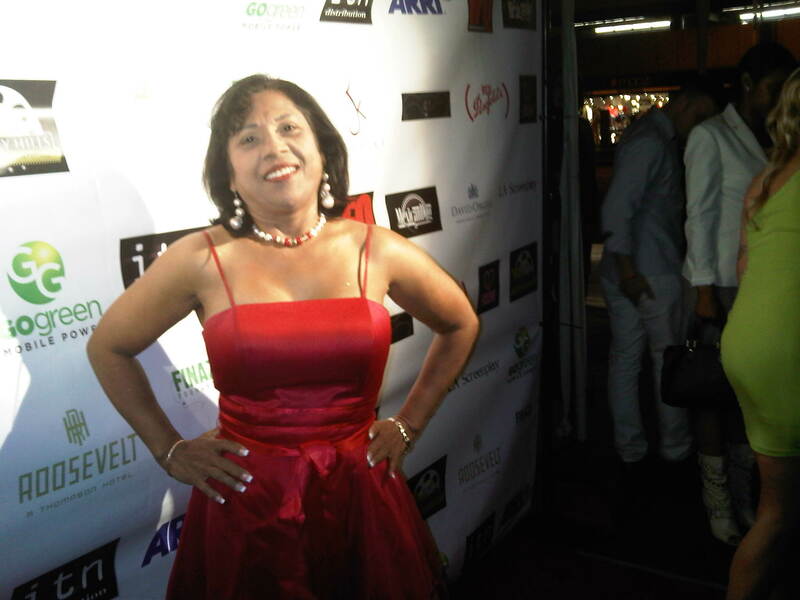 Precious Hilton has served as an Executive Producer with Clinton H. Wallace and Greg Hatanaka on several Cineridge motion picture productions including “The Critic” and “American Nudist”. Precious Hilton has structured new ventures and strategic alliances for Cineridge Entertainment and Photomundo International with many corporations that Ms. Hilton and the HILTON FAMILY have been associated with over the years. Precious Hilton has vast experience in business ventures through her involvement in many of the HILTON FAMILY business ventures.